As it stands, there is no effective treatment or cure for mesothelioma. Yes, there are drugs and radical surgical procedures, which may slightly extend a patient’s life or ease the pain and suffering to some extent. However, there is little doctors can do to really treat or cure the deadly disease. But researchers are not giving up. They are constantly working on new mesothelioma treatments and trying existing drugs developed for other cancers on mesothelioma victims as part of various studies. According to a recent article from the National Law Review, a skin cancer treatment drug may help those suffering from mesothelioma. The drug researchers are hoping works for mesothelioma patients is known as Pembrolizumab and is marketed under the brand name Keytruda. While most cancer treatments involve use of chemotherapy, radiation, or a combination of both, a new type of treatment has emerged known as immunotherapy. Immunothearpy has been shown to have fewer side effects than traditional treatments, which often involve destruction of healthy tissue and cells in addition to the cancer cells. Keytruda was developed and approved to treat skin cancer but is currently being tested on other types of cancer. Based upon these test results, researchers believe it may have promise as a treatment for both mesothelioma and lung cancer. 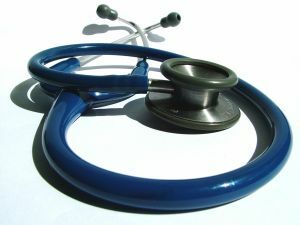 As our Boston mesothelioma attorneys can explain, many people are under the mistaken assumption asbestos is lung cancer. While asbestos can cause lung cancer, mesothelioma is not technically lung cancer; however, it is a cancer that can, and often does, occur in a patient’s lungs. Mesothelioma is caused when a victim inhales toxic asbestos fibers, and they become embedded in a layer of tissue known as the mesothelium. After a period of usually 20 to 50 years, these fibers can metastasize into the deadly cancer known as mesothelioma. They can occur anywhere the mesothelium is present, including the chest, lungs, and abdomen, and, once there, the cancer can spread to other parts of the human body. One of the Keytruda studies is being conducted at the University of Pennsylvania School of Medicine. Researchers released findings showing the drug may slow or even reverse the growth of mesothelioma tumors. The reversal of mesothelioma tumors would be a major breakthrough, since most existing treatments will only slow the growth of an extremely aggressive cancer, and only in the best-case scenarios. The University of Pennsylvania study was approved as what is known as a second line of treatment study. This means an already approved form of mesothelioma treatment must be used on patients first, and if that proves ineffective, the new drug can be used as a second line treatment pursuant to the study. The first round of the study was conducted on a small scale and included 25 patients. Researchers report of those 25 patients, 12 of them experienced no tumor growth, and seven patients experienced a reduction in tumor size. Four patients in the group experienced tumor growth (meaning the treatment did not work), and the remaining two patients did not have a final assessment for reasons not stated in these findings.